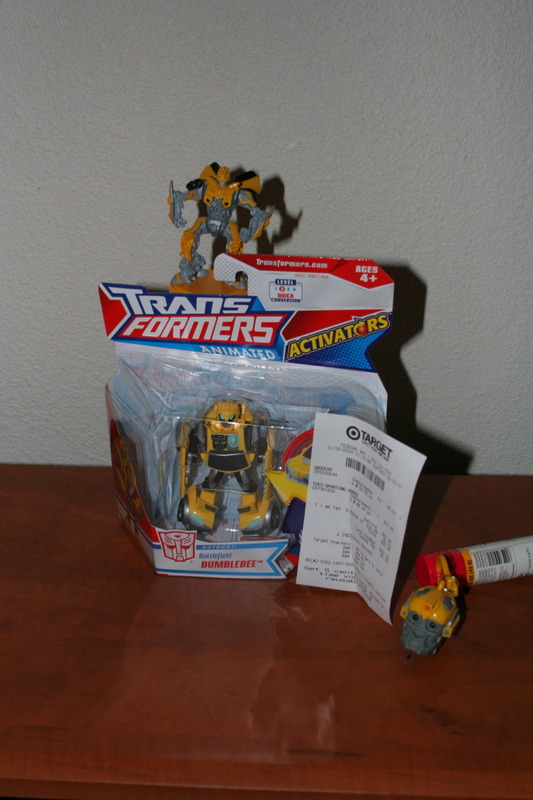 2005 Boards member Hollywood Hoist has found the latest wave of Transformers Animated Activators at retail. Battlefield Bumblebee was sighted at the Federal Way Target in Washington, and Armor Up Optimus Prime was spotted at the Kent Target, also in Washington. 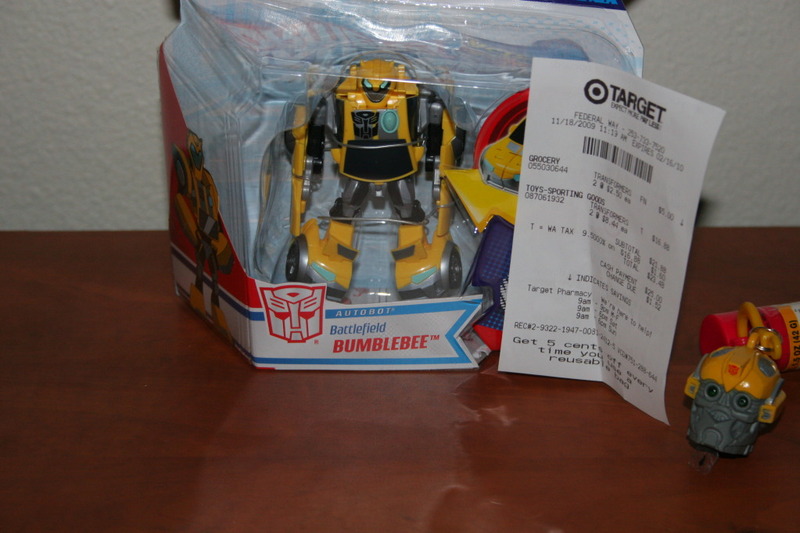 So if you are a Transformers Animated fan and you live in Washington, check your local Target stores! Happy hunting everyone! Don’t forget you can stay up to date with the latest sightings in your area in our Transformers Sightings forum. Nice! Now if Hasbro could go back in time and prevent ROTF from being made, Animated wouldn't be canceled! You'd have to go back in time and undo the Discovery Channel deal, not ROTF. And even in that scenario, it's not a sure thing that Animated would still be around. Because preventing a movie/toyline/merchandising monster that has generated over a billion dollars makes so much sense. Easy pass on the B.B., but I never got an Optimus, so maybe I'll pick this one up. Whoa.. Target is on a roll today. Are these the last Animated Activators that we are going to get? I don't recall anything being announced beyond these. I don't think anyone without "connections" knows. At the time we thought Fireblast Grimlock & Soundwave were going to be the last Activators when they were released, but then these two showed up. And then we've got stuff like an in-package Mudbuster Bulkhead redeco floating around that we didn't hear anything about at Botcon, so who knows what Animated's future holds, really. Cool! i want only bb too. And I was JUST caught up… cool man, thanks for the news! 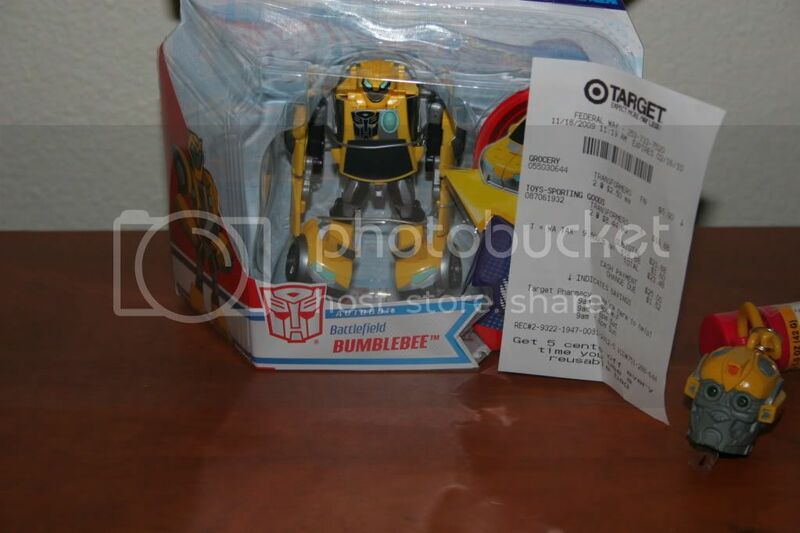 I found Battlefield Bumblebee at Federal Way Target in Washington. I found Power Armor Prime at Kent Target, though I didn't buy the Prime. Also at Target are candy toppers in the christmas section.